-The fifth generation of the French bestseller releases its prices for France. 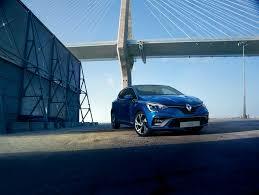 -All-new Renault Clio’s starting price is €14,100 (inc. VAT) for the Life SCe 65 version. -Orders open in France from April 2, 2019. Easy Link 7’’ multimedia system with radio and touch screen navigation, compatible with Android Auto and Apple Carplay - Bluetooth, 2 USB and 1 auxiliary plugs.